Since Crystal Ball ThyssenKrupp Aerospace now have full visibility of their fleet and have seen savings across the board. 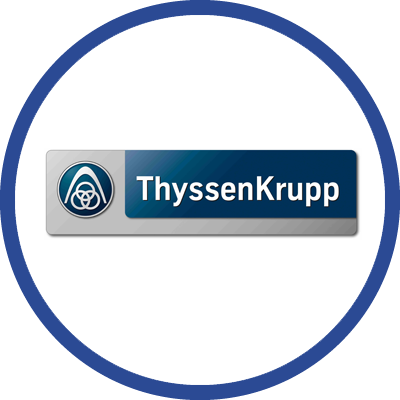 ThyssenKrupp Aerospace is a subsidiary of the $40bn internationally operating ThyssenKrupp Group, and provides high-grade products such as aluminium, stainless steel and non ferrous metals with value-adding processing services mainly for manufacturers and their supply chains. Predominantly supplying British Aerospace in the UK with aircraft grade metal, ThyssenKrupp needed to have 100% traceability of their stocks whilst in transit. The traceability issues were closely linked with the challenges of maintaining and indeed improving levels of customer service. Carrying such valuable loads also meant that vehicle and driver security was a major factor in the decision to deploy vehicle tracking in their growing fleet. After careful consideration of several tracking solutions, ThyssenKrupp chose Crystal Ball’s FleetTracker solution based on its functionality and user-friendly operation. With Crystal Ball’s FleetTracker, ThyssenKrupp now have full visibility of their workforce in real-time, 24/7, using Crystal Ball’s detailed mapping system. Since the implementation of Crystal Ball’s FleetTracker, ThyssenKrupp now have complete visibility of their drivers whilst out on live deliveries and can be rest assured when transporting valuable loads. "I'd easily rate Crystal Ball 9.5 out of 10"
ThyssenKrupp have also seen further benefits since implementing the Crystal Ball system as they can now offer a high quality customer service.